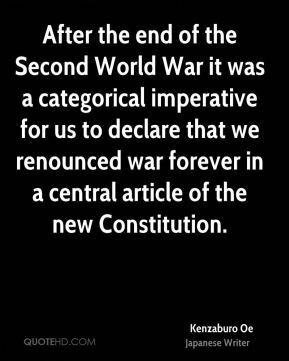 After the end of the Second World War it was a categorical imperative for us to declare that we renounced war forever in a central article of the new Constitution. 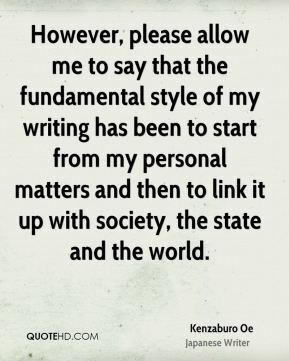 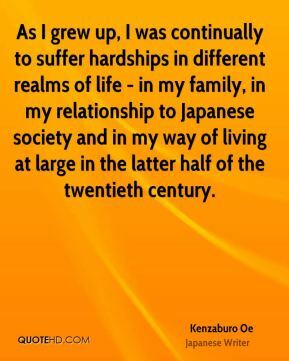 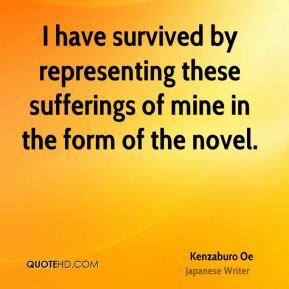 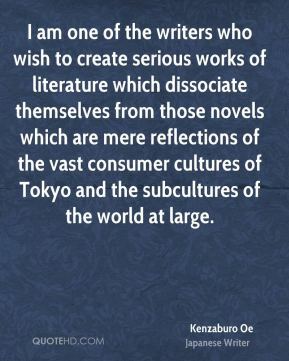 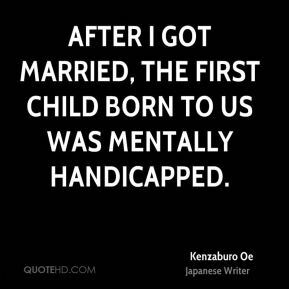 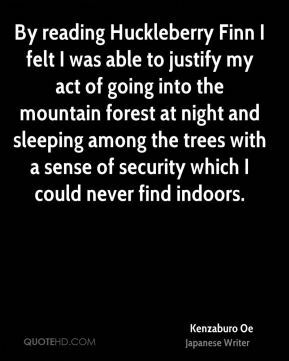 As I grew up, I was continually to suffer hardships in different realms of life - in my family, in my relationship to Japanese society and in my way of living at large in the latter half of the twentieth century. 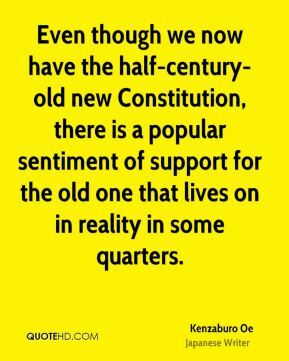 Even though we now have the half-century-old new Constitution, there is a popular sentiment of support for the old one that lives on in reality in some quarters. 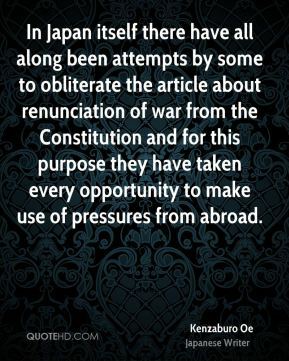 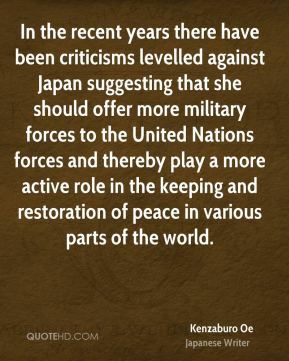 In Japan itself there have all along been attempts by some to obliterate the article about renunciation of war from the Constitution and for this purpose they have taken every opportunity to make use of pressures from abroad. 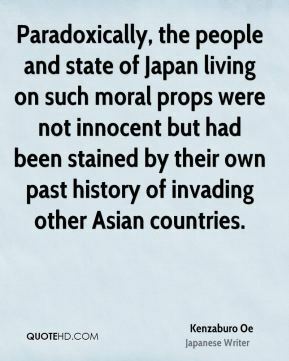 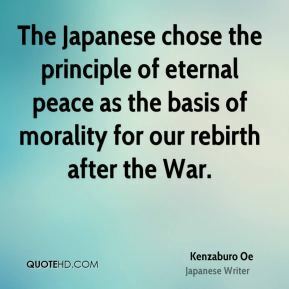 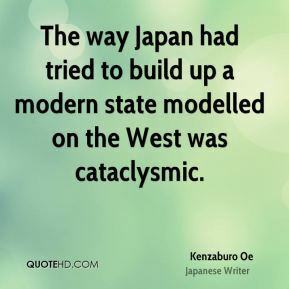 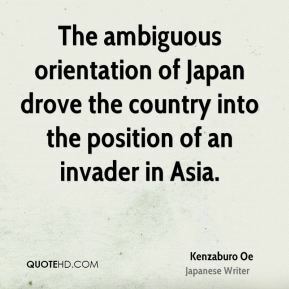 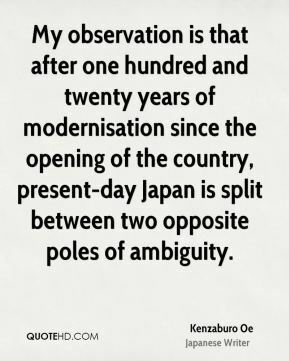 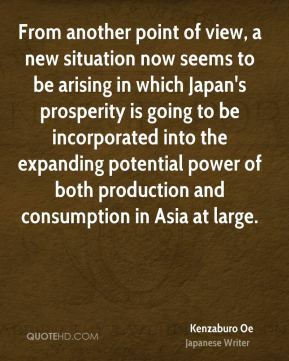 Paradoxically, the people and state of Japan living on such moral props were not innocent but had been stained by their own past history of invading other Asian countries.